HeroCraft’slatest app for Android,Catch the Candy, is an exciting and endearing physics puzzle game that anyone who loves candy and cute little monsters will be sure to enjoy. 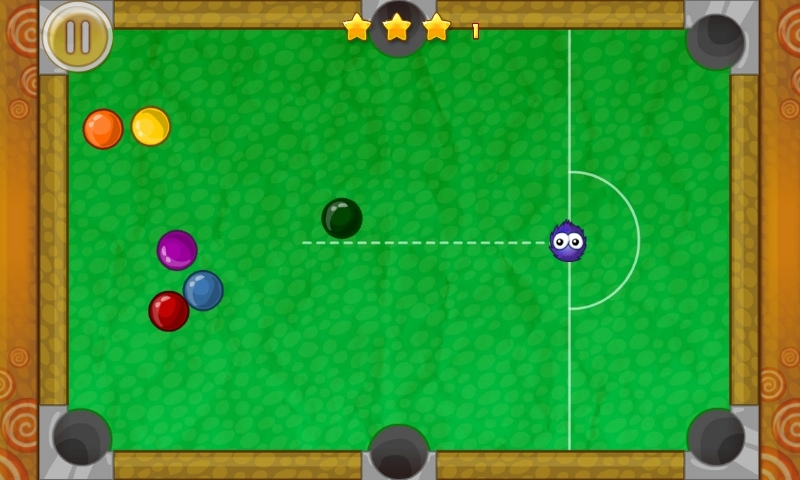 While challenging, Catch the Candy is a great game to have on your Android Device. 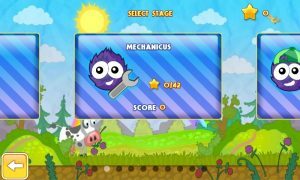 Catch the Candy has 6 different “stages” with different graphical themes. For example, “Pastoral” is set outdoors with water wheels and power lines as means to catch the candy, while the “Mechanicus” stage uses light bulbs and is set underground. Each of the 6 stages has 14 levels that build on the difficulty of the first. 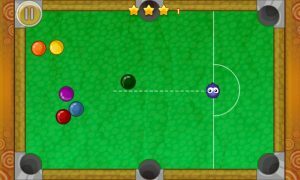 However, there is no difference in difficulty between stages. For example, level 1 of both Pastoral and Mechanicus are almost exactly the same. 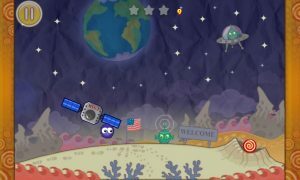 Despite this, for each level you can earn up to 3 stars, depending on how well you do. This is similar to Ant Raid, one of HeroCraft’s other games. 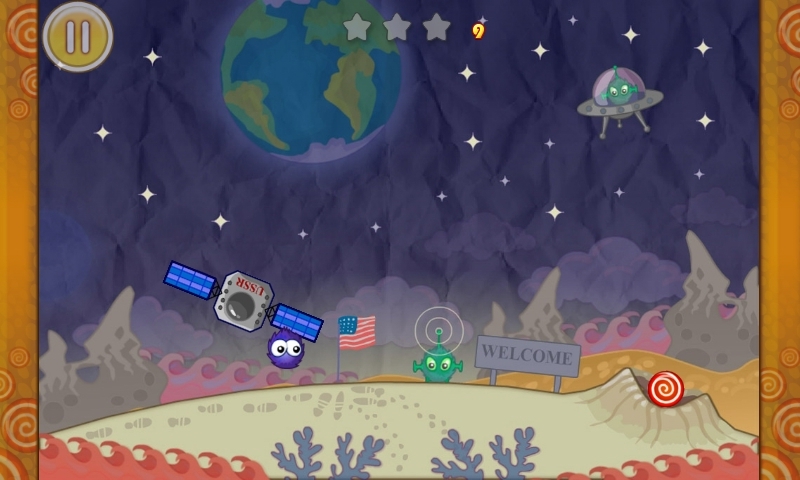 Each stage has a certain number of stars you must earn before you can unlock the next stage. Trying to catch the candy can be quite difficult, even on the easier levels. The tiny monster uses his frog tongue- like tail to stick and repel himself to and from a variety of surfaces to ultimately land him at the candy, thus completing the level. There is no tutorial when starting the game for the first time. Some may find this annoying, others not so much. However, if you do get stuck on a level, there is a button in the pause menu that takes you to a YouTube link that is a walkthrough of the entire game. This can be a bit clunky if you’re only stuck on one level, not to mention you have to close the game just to view it on most Android devices. At least on some devices, Catch the Candy seems to have some issues with calibration. The more taps you make to get to the candy, the more you are penalized. This is unfortunate, considering almost 50 percent of the time the monster’s tongue doesn’t go anywhere near where you tapped. So, even if you’ve figured out what you have to do to get the candy, it’s still nearly impossible on most levels to get three stars. This doesn’t detract from too much of the overall quality of the game however. Catch the Candy for Android is still a very fun and lighthearted game that certainly keep you entertained for a while. Despite some stubbornly difficult levels, Catch the Candy is quite a catch! 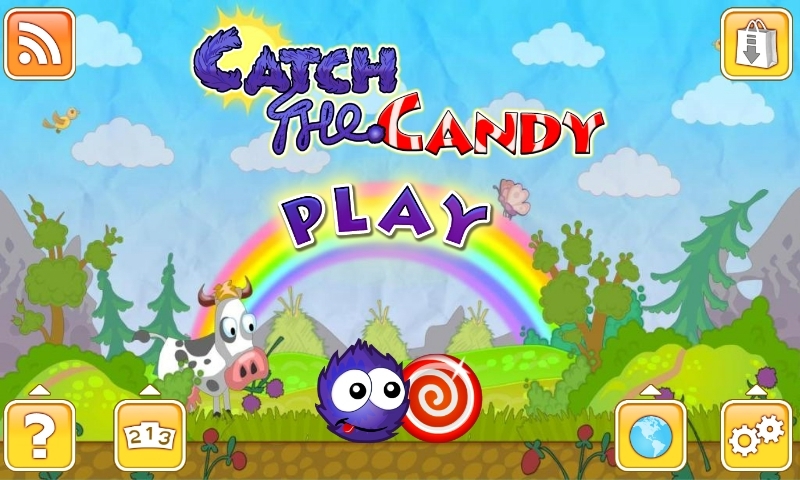 Catch the Candy is available in the Google Play Store for 99 cents and can be downloaded on any Android device with Android 2.2 or greater.